All Windows versions of STAR WARS: Commander will no longer be available to play after June 30, 2017. We appreciate your passion and commitment to our game. Thank you for playing. Meanwhile, support will continue for the game on other platforms including iOS, Android, Amazon Fire, and Facebook. Therefore, low adoption could be the reason behind the game’s closure on Windows devices. Choose to fight for the Rebellion or the Empire. Train your troops to charge into battle. Build units and vehicles with multiple upgrades. Defend your base against enemy forces. Complete original story missions and gain additional rewards. Level up your heroes, troops, vehicles, and more. Battle on different worlds within the Star Wars universe. 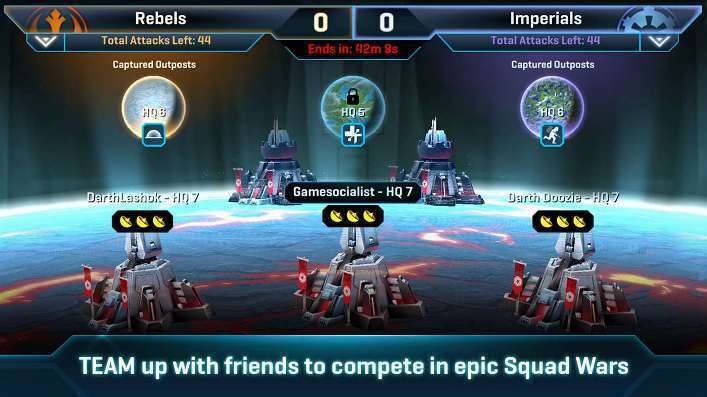 Team up with friends and allies to form the ultimate squad. Does the game’s upcoming departure from Windows disappoint you? Share your thoughts in the comments below.